Here’s my take on the 10 most significant and interesting occurrences in clean transportation during the past week……. Ford saw the best and worst of it last week for its public image. The 2013 and 2014 hybrid and plug-in hybrid versions of the Fusion and C-Max, the Lincoln MKZ Hybrid, and the 2014 Fiesta, had incorrect mileage figures initially – it’s the second time Ford has dealt with incorrect MPG ratings. 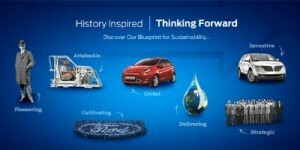 Around that time, Ford issued its 15th annual Sustainability Report – with its commitment to water conservation. Ford was able to reduce per vehicle by 30% at its global facilities last year. Now, the pressure is on Ford and the US Environmental Protection Agency to institute more realistic and honest mileage rating procedures. The rollback “will force the company to abandon many of the competitive and superlative claims it has made over the past 18 months,” according to Automotive News. Fierce competition by dealers is one of the reasons car buyers should go to franchised dealers – and avoid Tesla corporate stores – according to a National Automobile Dealers Association animated informational TV ad. Creating good paying local jobs and adding to the tax revenue for communities are other things traditional dealers need to be acknowledged for, according to the commercial. NADA clearly wasn’t happy to hear about the assembly in the state of New Jersey allowing Tesla to directly sell its electric luxury car directly to consumers. Americans are worried about gasoline prices going up and want to purchase more fuel efficient vehicles, according to the annual Consumer Federation of America survey. In the recent survey, 80% of those surveyed said that “in thinking about the next five years,” they were “concerned” about gasoline prices with 64% indicating “great” concern. Indian automaker Mahindra may be joining ranks with Daimler and Toyota by bringing in Tesla Motors patented technology to its electric vehicle offerings. Mahindra Reva Electric Vehicles, which is part of the Mahindra Group, hasn’t decided yet on how the company may tap into Tesla’s electric motor or battery pack, Mahindra Reva is very enthusiastic about the potential of accessing this technology sharing. Kia is rolling out its first plug-in electric vehicle – the Soul EV, an electric version of its popular hatchback which has been gaining lots of attention in recent years through its hamster commercials. It’s got a 27 kWh lithium-ion battery pack and received a 131 miles per charge range figure in Europe. That could somewhere around 85 miles per charge in the US. It just started volume production and being exported globally. Harley-Davidson (yes – the maker of huge, loud motorcycles) has entered the electric bike market. It’s leaking tidbits on its Project LiveWire. This is a test run of an electric motorcycle that will go into production in about two years from now. It will be a big risk – most of the demand for e-bikes is coming from consumers who want cheaper motorcycles and scooters; that will be a problem in China, where consumers want an inexpensive bike to move around crowded city streets. Buyers of electric vehicles in Massachusetts will have access to rebates up to $2,500. Rebates are available on a first-come, first-served basis until all the $2 million in funding has been used up. All applications must be submitted within three months of the purchase or lease of an EV. A survey of 400 executives who oversee fleets by GE Capital reported that nearly half will be looking to add alternative fuel vehicles over the next five years to reduce fuel costs. As for now, only 4% of them operate alternative fuel vehicles. About 27% of them plan on expanding their fleets in the next year. 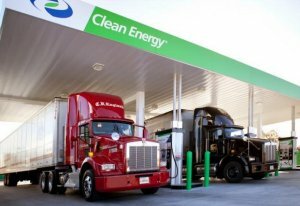 Clean Energy Fuels Corp. said that its El Paso, Texas, refueling facility has opened up and plays a critical role in the natural gas fueling company’s campaign, which is called America’s Natural Gas Highway. This program enables heavy-duty LNG truck fueling along the transcontinental Interstate 10 highway between Los Angeles and Houston. A new Navigant Research report looks at the global market for next-generation advanced batteries. The main focus of the report is on leading battery chemistry, lithium ion, and the energy storage device types that might eventually replace it; these include ultracapacitors and lithium sulfur, solid electrolyte, magnesium ion, next-generation flow, and metal-air batteries. The company forecasts that global next-generation advanced battery revenue will grow from $182.3 million in 2014 to $9.4 billion in 2023. Will regulatory emissions standards be enacted soon enough by OEMs to improve air quality and address health hazards? Will the sales volumes of plug-in electric vehicles, hybrids, and other alt-fuel vehicles make any real difference in a world heading for more than 100 million new vehicles sold per year? Is the California Air Resources Board continuing to be so unrealistic about enforcing zero emission targets that “compliance cars” will be as good as it gets? How can you get fleet managers, finance executives, and consumers to cross the bridge from short-term pocketbooks to long-term benefits and improvements? These questions weren’t necessarily solved last week at a symposium on clean transportation – but the issues were thoroughly addressed within one afternoon. Clean Transportation: Stepping on the “Gas” was presented last Thursday by CleanTech OC at Brandman University in Irvine, Calif. The comprehensive speaker panels point to the opportunity that sustainability organizations like CleanTech OC can play in bringing stakeholders together – and in addressing the challenges faced by all cleantech sectors attempting to breakthrough barriers. Patrick Thompson, CEO of EmiSense (a company that produces sensors for emissions monitoring) led a panel on “Drivers” in clean transportation. Dr. Wallace Walrod, chief economic advisor for Orange County Business Council, gave an update on corporate and government alliances. The hydrogen refueling infrastructure is getting a lot of focus in the county lately primarily through the FirstElement Fuel company, which is responsible for several of the refueling sites. Dean Saito, manager on-road mobile source strategies at South Coast Air Quality Management District, discussed the challenges SCAQMD has been dealing with lately. Multiple pollutants are being analyzed now with greenhouse gas being central, but other toxic air contaminants are also being reported. Cancer risk in Southern California is a key factor for consideration, along with the US Clean Air Act and its emphasis on NOx. The inland empire and San Bernardino area continues to have the heaviest air pollution, with cargo transport contributing much of it, Saito said. Cherif Yousef, technology development manager for Southern California Gas Company, said that all of the Metro bus fleet in Los Angeles has converted over to compressed natural gas (CNG). Yousef also said that the US Department of Energy is looking at reducing its pressurized CNG tank requirement down from 3,600 pounds per square inch (psi). It could be moving toward 1,000 psi, which would be a big game changer, he said. Khalid Simjee, site developer for NRG EV Services, moderated a panel on infrastructure. Simjee talked about the $100 million investment in the state that NRG is deploying now through its Freedom charging stations, with 200 of them becoming DC fast chargers. NRG is committed to renewables and is now the number one US utility using solar power and number three for wind power. Joe Gagliano, infrastructure business development specialist for California Fuel Cell Partnership, described the retail hydrogen stations being built in California. Hydrogen is being delivered through one of five technologies – gaseous compressed storage, liquid storage, electrolysis, steam methane reformer (SMR), and pipelines. Harrison Clay, president of Clean Energy Renewable Fuels, talked about where the biomethane supply chain is going. Clean Energy is equipped to deliver its Redeem renewable natural gas through the US now; the challenge is that the cost is somewhere between gasoline/diesel and natural gas. Fleets are leaning toward traditional natural gas, but renewable natural gas is getting a lot of interest, Clay said. Three policies are guiding decision making – the US Renewable Fuel Standards and RIN fuel prices (which continue to be volatile); California’s Low Carbon Fuel Standard; and corporate sustainability. Brandon O’Donnell of ChargePoint said that 80% of the charging network company’s revenue for this year is expected to come through private markets. That revenue had previously come through public funds, such as the US Department of Energy’s charging station project. ChargePoint, Blink (formerly run by ECOtality), General Electric, SemaConnect, OpConnect, and AeroVironment, have been deploying charging networks through the US and the numbers are increasing, he said. ChargePoint has installed 17,000 stations for 2,000 customers, he said. Greg Alexander, senior project manager at E2 ManageTech (which provides environmental, health, and safety management information services), moderated a panel on fleet trends. Chuck White, director of regulatory affairs/west for Waste Management, talked about the 17 waste-to-energy plants that the company is now operating and which could power 650,000 homes. The company is striving to eventually reduce its fleet emissions 90% through renewable natural gas coming from its landfills. Ashley White, manager of sustainability for supply chain at Kroger, said that the grocery store chain company is achieving three-year payback with liquefied natural gas (LNG) trucks. The company is getting four-year payback on hydrogen-powered fork lifts and pallet jacks; they’re being refueled within one-to-four minutes, she said. Aerodynamics also play a big part in Kroger’s sustainability campaign; testing is being done on potentially achieving 10% to 30% fuel economy improvements through aerodynamic design in its truck fleet. Bill Habibe, manager of transit technical services at Orange County Transit Authority (OCTA), said that the agency tends to be “technology neutral.” For several years, OCTA has been deploying CNG and LNG buses. Electric buses with 60 kilowatt batteries needing five hours per charge are being tried out, but cost and range are getting in the way, he said. Marco Anderson, senior regional planner, sustainability, for Southern California Association of Government, served as moderator on a vehicles roundtable. Anderson and the panelists articulated the huge challenges automakers are going through now in California – and globally as rules of the game are shifting for OEMs. Eric Noble, founder and president of The Carlab, doesn’t think that OEMs will be able to comply with the California Air Resources Board’s zero emissions mandate. This is not new for the state, and there are always loophole credits that can be issued by CARB. Noble thinks that California does have one solution to this potential stalemate – CARB could issue OEM credits for their pilot programs that they typically run in the state through advanced technology, alternative fuel vehicles. Its allowing California to be a “petri dish” that moves the technology forward, he said. 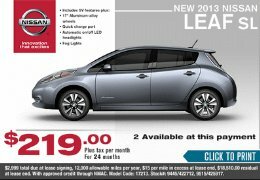 David Peterson, regional manager at Nissan North America, said the value equation for the Nissan Leaf is making sense for consumers; sales are at 80% lease penetration, and the federal tax credit and HOV carpool lane stickers are helping. Atlanta has been the #1 sales market for the Leaf recently, which benefits from the $5,000 state tax credit in Georgia. Toyota is testing out all the new technologies – hybrids, plug-ins, and fuel cell vehicles, giving customers options, said Logan Grizzel, who serves on Toyota’s advanced technology vehicles team. Providing all of these technologies is likely the best way to bring adoption, Grizzel said. Toyota is looking for commercialization at all levels, including the use of battery packs for energy storage in home power. “We’ll try everything out, and see what takes off,” he said. Robert Langford, manager, plug in vehicle sales for Honda, was pleased to see the statement issued recently by the Alliance of Automobile Manufacturers on Tesla Motors’ battle with dealers in various states. Automakers and dealers need to look at selling EVs differently, and dealer staff need more training on it. Dealers are turning their sales staff over usually twice a year; training is needed to keep staff and to sell EVs as effectively as Tesla has been doing, he said. Tedd Abramson, CEO of ZeroTruck, talked about what’s been happening in the medium-duty electric truck market. It’s helping to see New York offer its voucher program with 80% reduction on incremental costs as an incentive for fleets to convert over to EVs, he said. EV trucks are costing about 30% more than traditional trucks; fleet operators are becoming more in tune with it and see a three-and-a-half year return on investment. Municipalities are seeing the value of reducing maintenance costs when deploying EVs, and drivers are enjoying driving EV trucks, he said. A vehicle expo was set up in the college’s parking lot. Hyundai, ZeroTruck, Nissan, Toyota, SunLine, Honda, Mercedes, and Kia displayed green vehicles – with several of them showing off HOV carpool lane stickers. Transparent, honest, and accurate reporting is being required in the regulatory environment – and consumers and business-to-business (B2B) are expecting as much. In the case of sustainable, green products, offerings made by manufacturers and marketers are expected to meet the claims being made. Ford Motor Co. is feeling the heat right now from its second round of inaccurate MPG listings. Ford is committed to being environmentally responsible in its water conservation and manufacturing, but the MPG reporting doesn’t look very good. GreenBiz featured a webinar last week on the topic, “Understanding the B2B Green Marketing Landscape.” B2B companies are especially demanding – requesting unprecedented amounts of information about products’ environmental and health attributes. Joel Makower, executive editor at GreenBiz Group, moderated the panel that consisted of Scot Case, director, markets development at UL Environment; Kirsten Ritchie, principal, director of sustainable design at Gensler; and Yalmaz Siddiqui, senior director of environmental strategy at Office Depot. UL Environment is working with clients, including companies in nanotechnologies, on validating credibility of sustainable product claims through its certification, validation, and testing services. Case said that $40 billion is being spent annually on green products in the US, and B2B could be even larger in sales. Consumers expect a lot from companies these days – a recent survey found that 65% of respondents want more trust and faith in claims being made, Case said. Richie said that manufacturers are facing two challenges with green claims. They’re typically not adequately training their sales and distribution staff; and B2Bs and consumers need to have their questions answered by staff with understanding of how the technology works. The other problem is that manufacturers are underselling what they have to offer, Richie said. The product very likely has environmentally responsible parts, components, and manufacturing processes in place – and manufacturers are missing an obvious opportunity to inform customers. Her company, Gensler, consults on architecture, design, and planning in commercial buildings and deals with a lot of “eco-policy compliance.” LEED v4 is getting a lot of interest from clients, who need to be informed on the latest green building rating system, she said. Paper products have become a testing lab for accurate eco-labels, Siddiqui said. Rating systems similar to outdoor-wear company Timberland’s Green Index, with its 0-to-10 rating system, are becoming common in the paper industry. Environmental Paper Network’s paper calculator is a popular measuring tool for analyzing the environmental impacts of paper and discovering the best paper choices. It comes from a coalition of more than 100 non-profit organizations aiming for sustainability in pulp and paper production, consumption, and recycling. Big Picture: Archrivals Tesla and BMW cooperating on EV charging, What might Iraq conflict mean for gasoline prices? In that spirit, Musk posted a statement on the company’s blog last week that Tesla’s wall of patents has been removed: “in the spirit of the open source movement, for the advancement of electric vehicle technology. Tesla will not initiate patent lawsuits against anyone who, in good faith, wants to use our technology.” Musk has also recently made statements about EV charger companies taking up its “Supercharger” standard for fast charging; fast chargers will need to have higher power levels and shouldn’t charge people on a per-charge basis, he said. And in other news, Tesla had a favorable comment made by the automakers’ trade group, the Alliance of Automobile Manufacturers about the state-by-state legislative battles dealers are having with Tesla over franchise laws. The legal balance is weighted too heavily toward dealers and needs to be balanced out. “At the request of local dealer groups, states set up a labyrinth of protectionist laws that make the car-buying experience difficult and costly for our customers,” said Gloria Bergquist, a spokeswoman for the Alliance of Automobile Manufacturers, which represents 12 automakers but not Tesla. And in other clean transportation news………. What do energy experts think about the conflict in Iraq and how it may affect gasoline prices? What’s the latest on gasoline and diesel prices, and alternative fuel prices? Check out coverage in Automotive Digest. And for charts and market analysis, subscribe to Green Auto Market – Extended Edition, and you’ll receive that June issue by email. Municipal Equipment Maintenance Association, Long Beach Clean Cities, and CleanTech OC are hosting a symposium with the title “Clean Transportation: Stepping on The Gas.” It will look at how industry players are moving that dial further forward and the effects of that in Orange County. It’s taking place next Thursday, June 19 from 12:30 to 6:30 at Brandman University in Irvine. Here’s a link for registering. Hope to see you there. First responder training was held at the City of Los Angeles’ General Services Yard by Rio Hondo College Professor John Frala.The group was made up of technicians, body shop technicians, training managers, supervisors, and Los Angeles parking enforcement. Three technicians in attendance were Rio Hondo Automotive Graduates working for the City of Los Angeles. The program, funded through a US Department of Energy/Clean Cities grant, also focused on second responders providing towing and storage. California Fuel Cell Partnership’s Keith Malone attended and showed the new Hyundai Tucson Fuel Cell. Minnesota is the first state nationwide to require its investor-owned utilities to offer a special rate for off-peak (overnight) EV refueling. Beginning in 2015, 1.3 million households will have access to a discounted rate for electric vehicle (EV) refueling. These utilities will also provide customers the option of zero-emissions EV refueling with renewable energy. Georgia is now offering buyers of new electric cars a tax credit of up to $5,000, which is on top of the $7,500 income-tax credit offered by the Federal government. Atlanta residents get other incentives as well, including driver-only carpool-lane access and several charging stations. Georgia Power Co. also offers electric-car owners a low off-peak rate of about 6 cents per kilowatt-hour. For those Californians looking for incentives, Honda just announced that those purchasing a new Civic Natural Gas vehicle are eligible for a $1,000 purchase credit provided by the California Energy Commission. Drivers will also get a “diamond lane” sticker – qualifying for single-occupant access to carpool lanes. Ford Motor Co. and H.J. Heinz are working together to find more sustainable composite materials for use in vehicle manufacturing – with tomato fibers now being added to Ford’s list. Dried tomato skins could become the wiring brackets in a Ford vehicle or the storage bin a Ford customer uses to hold coins and other small objects, according to Ford and H.J. Heinz. Six hydrogen production R&D projects selected yesterday by the US Department of Energy aim to produce, deliver, and dispense hydrogen at less than $4 per gallon gasoline equivalent; $20 million in grants were awarded. National Biodiesel Board CEO Joe Jobe talked about the politics of the latest renewable fuel standard delays. Why fleets can save $16,0000 in lifecycle cost using an electric vehcle. Taxi services, chauffeured transportation companies, and other players in ground transportation, are attempting to exorcise a demon: Uber. This San Francisco-based network company makes mobile applications that connect passengers with drivers of vehicles for hire and ridesharing services. Taxi drivers have protested recently in Los Angeles, London, and Milan, Italy; they’re furious that Uber drivers don’t have to pay the steep prices for taxi licenses that taxi drivers end up paying off over several years. Chauffeured transportation companies are upset that Uber is entering major metro markets without complying with long-standing regulations, which can allow for undercutting of prices while using substandard practices for passenger safety and customer service. Ride-sharing mobile apps are becoming more popular through Uber, Lyft, and Sidecar. This is happening during a time when carsharing services provided by Zipcar, Car2Go, City CarShare, and DriveNow, are gaining traction and subscribers throughout the US and Europe. Ground transportation companies – taxis, limousines, livery, shuttles, and buses – would love to see these companies go away or have their market presence reduced. Uber represents a new business model that could steal business from traditional ground transportation options. Using the mobile apps is taking off because it’s cheaper than taxi rides and you can do it all on your smartphone or tablet. It’s hot enough for Uber to recently have raised $1.2 billion in venture capital in a deal that valued the company at $18.2 billion. 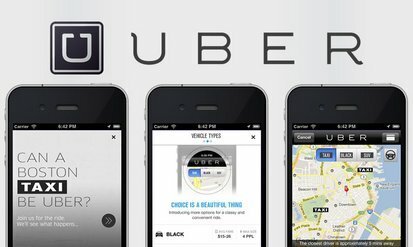 Uber doesn’t own any cars and has no drivers as employees. It matches up a driver/car with a customer looking for a ride and takes a percentage of the trip fare. Uber says that its value comes from screening its drivers, its pricing/payment system where customers can choose their service level and vehicle (ranging from a car to an SUV), and convenience. Customers can track the car on their phone and get a good idea of when pickup will be taking place. Taxi companies and other transportation providers would like to see governments address the issue of driver background checks and insurance coverage for their drivers. Not long ago, an Uber driver was arrested in Southern California on suspicion of kidnapping a woman and taking her to a Panorama City motel. Prosecutors ended up dropping the case, but Uber did ban the driver. The North Carolina Limousine Association (NCLA) and several other chauffeured transportation associations, would like to see governments crack down on Uber and other ridesharing apps. 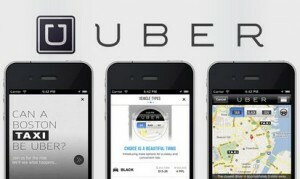 Uber has showed up recently to compete for passenger transportation in the Raleigh/Durham area. NCLA members are concerned about “rogue apps” and drivers hurting their markets. Uber doesn’t have to comply with long-standing regulations, which can allow for undercutting of prices while using substandard practices for passenger safety, limousine operators say. The solution would be regulatory agencies enforcing insurance coverage rules, says Mark Mazza of HUB International, a chauffeured transportation company. Several cities, including Seattle and Miami, have removed Uber and similar providers from their areas using this approach, Mazza said. It was interesting to read a Houston Chronicle reporter’s account of the Natural Gas Vehicle USA conference, which just took place in that city. Ryan Holeywell’s conclusion in “The road ahead still isn’t clear for natural gas trucks,” is that companies are quite skeptical about investing in natural gas vehicle (NGV) conversions. Holeywell cites some impressive sources; UPS can’t get a return on investment in natural gas-fueled tractors unless they travel 500 miles a day, according to Jeff Yapp, UPS vice president for global automotive engineering and operations. Dennis Beal, vice president of global vehicles at FedEx Express, said that trucks that run on natural gas cost much more than their gasoline and diesel counterparts. Fuel cost savings: Compressed natural gas has been costing users about $2.25 recently in gasoline-gallon equivalent (GGE) pricing compared to diesel, which has been in the $3.90 range recently; gasoline has been about $3.65 in the national average price. Diesel and gasoline prices are likely to go up in the wake of the conflict being experienced in Iraq and instability within other key suppliers of oil to the US market. Energy analysts expect natural gas pricing to remain stable in the US over the next 10 years due to the abundant supply. Several fleets are in the process of making or reinstating contractual agreements with CNG suppliers to lock in the fuel price over a period of time. While alternative fuel tax credits expired at the end of 2013, businesses would be able to take another $0.50 to $0.75 GGE off that price if the tax credits come back; that could bring the cost of CNG down to as low as $1 GGE in some locations, said John Coleman, fleet sustainability and technology manager at Ford Motor Co.
UPS and FedEx are supporters: UPS does see natural gas as the “big game changer,” according to Scott Wicker, the company’s chief sustainability officer. The transport company can save 40% in fuel costs running its long-haul semi-tractor fleet on natural gas instead of gasoline or diesel. Reducing gasoline and diesel is part of the company’s mission to cut emissions and operate more efficiently, Wicker said. FedEx is testing out CNG and liquefied natural gas (LNG) vehicles in its fleet; Frederick Smith, chairman and CEO of FedEx Corp., expects 5% to 30% of all US long-distance trucks to be fueled by CNG or LNG over the next 10 years – as the cost of the trucks come down and fueling stations become more common. Incentives: While federal tax credits expired at the end of 2013 on the fuel, there are several state programs out there that can reduce the cost of vehicle conversions and fueling. If you look at the US Department of Energy’s Alternative Fuels Data Center, there’s a map of the US by states to click on. In Texas, when the new fiscal year begins in September, the Texas Commission on Environmental Quality (TCEQ) will administer its next NGV Grant Program. Qualifying vehicles must be on-road vehicles with a gross vehicle weight rating of more than 8,500 pounds and must be certified to current federal emissions standards. TCEQ can also award grants through the Clean Transportation Triangle Program, which supports the development of a network of natural gas fueling stations along the interstate highways connecting Houston, San Antonio, Dallas, and Forth Worth. Fueling infrastructure: Besides privately held CNG and LNG fueling stations, publicly accessible stations are starting to see the light of day. The US Department of Energy’s Alternative Fuels Data Center reports there are now 713 CNG stations and 53 LNG stations in the US. These numbers tend to increase each month and are expected to provide a refueling infrastructure alongside the nation’s highways in the near future. Emissions reductions: As panelists talked about at the Natural Gas Vehicle USA conference, the challenges and costs to deploy NGVs can be pervasive. Building NGV refueling stations can be up there in cost, and conversions can be in the $8,000 to $18,000 range depending on the vehicle’s weight and other factors. Reducing greenhouse gas emissions by about 25% compared to diesel and gasoline engines does help make the case. Waco-Texas based Central Freight Lines has 114 CNG vehicles in its 1,600 unit fleet; driving range has fallen short of that needed for fleet operations that were estimated when installing 75-gallon CNG tanks into its trucks. All that being said, the company remains committed to the technology and has 50 more NGVs on order. “We’ll continue to invest in CNG because we’re committed that it’s the right thing to do and the right way to go,” said Mari Borowski, director of business development for Central Freight Lines. Automakers experienced their highest monthly US sales figure ever in May for battery electric and plug-in hybrid electric vehicles, and their second highest month for hybrid vehicle sales. Overall plug-in sales reached 12,453 – with 5,802 of them battery electric vehicles and 6,651 plug-in hybrids. For hybrids, 52,227 units were sold in the US during May, its second highest sales month on record. 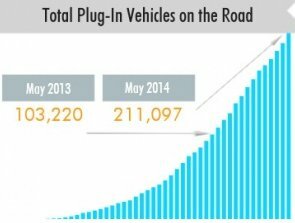 Plug-in vehicles hit the 211,097 sales mark in the US by the end of May; that’s more than double the total recorded one year ago. Nissan had a particularly good month for Leaf sales, hitting 3,117 units for the month – it’s best month ever and the first time Leaf sales passed the 3,000 mark. It also brought the Leaf past the 50,000 mark for its US sales – 52,511 sold, to be precise. The Leaf is still behind the Chevrolet Volt for overall sales and highest monthly sales number. The Volt continues to be sold at a lower level this year, coming in at 1,684 sold in May – only marginally up from the 1,607 sold one year ago. Sales were thin for other EV models including the Cadillac ELR at 52 units sold in May, the Honda Fit EV at 33, and the plug-in hybrid Accord selling 46 units in May. Toyota saw a much better month for its Prius Plug-in, which sold 2,692 units in May. Hey there, opinionated people: I would bet that several of you readers have interesting perspectives on clean transportation – cool new technologies, geopolitics, economics, environmental issues, how something could succeed, why another is bound to fail…….. Your opinions are requested – and you’ll find the “Leave a reply” link at the top of every post in Green Auto Market. I have met some interesting people through reader comments, along with what I regularly post on LinkedIn and Twitter. So please keep it coming! Renault-Nissan CEO Carlos Ghosn has an opinion that a lot of people would disagree with – driverless cars could be on roads four years from now. Most of the forecasts think it will actually take longer (maybe 10 years), but Ghosn and Google have more ambitious expectations. The real stumbling block, according to Ghosn, is regulatory red tape. “The problem isn’t technology, it’s legislation, and the whole question of responsibility that goes with these cars moving around … and especially who is responsible once there is no longer anyone inside,” Ghosn said at a French Automobile Club event on Tuesday. Freightliner and Hino Trucks have been approved for the New York Tuck-Voucher Incentive Program. Freightliner’s M2 106 diesel electric-hybrid truck and Hino Trucks’ 195h and 195h-DC diesel electric hybrid Class 5 cabover engine trucks have been approved. New York’s program provides $19 million in incentives for clean vehicle technologies. The goal is to promote clean air by encouraging the adoption of advanced vehicle technologies in commercial trucks and buses. Renewable Energy Group Inc., the nation’s largest biodiesel producer, announced the acquisition today of Dynamic Fuels LLC, which operates the first US large-scale renewable diesel facility. Dynamic was formed in 2007 by Tyson Foods Inc. and Syntroleum Corp. as a 50-50 joint venture. The facility in southeast Louisiana has the potential of producing 75 million gallons a year of renewable diesel made from animal byproducts. Lux Research reports that China and India dominate Asia’s alternative fuels landscape, but there’s still a lot of work to be done to hit government targets. China followed the US’s 10% ethanol mandate, but will only reach 4% of its gasoline by 2017. India is pushing for jatropha as its biodiesel blend; the Indian government wants to see it reach a 20% biofuels mandate by 2017, but the nation is way off – biofuels will only account for 0.6% of its diesel and 0.3% of its gasoline by 2017, according to Lux Research. Natural gas vehicles (NGVs) in China and India are being driven by cutting fuel expense – the fuel is costing nearly half that of gasoline – and the need to cut air pollution. India currently has the sixth largest volume of NGVs in the world, mostly in its public transportation. Clean diesel passenger vehicles are selling much more than what I would have thought, according to an R.L. Polk & Co. research report commissioned by Diesel Technology Forum. The report states that diesel passenger vehicle registrations rose 11.5% from 6.3 million to almost 7.1 million between 2010 and 2013. During that same timeframe, hybrid vehicle registrations leaped 64.6% from 1.7 million to 2.8 million. It does seem a bit confusing, as recent new car data reports have shown hybrids to be a much higher sales volume than clean diesel cars. I would imagine that has to do with quite a few diesel pickups being included in the R.L. Polk numbers, versus other market reports that just include diesel passenger cars primarily sold by German automakers in the US market. US fuel economy of new vehicles sold went up 0.4 miles per gallon in May to 25.6 mpg. That took place event the sales of trucks and utility vehicles were strong last month. Toyota’s hydrogen fuel cell vehicle will go into production earlier than originally announced, with production planned for mid-December 2014. Toyota says that will lead to sales starting before the end of this year instead of the original intention of starting some time in 2015. Ford Motor Co. has an affiliate relationship with Samsung Group that will install lithium-ion batteries and regenerative brakes on non-hybrid cars. This will be done to reduce carbon emissions; Ford also unveiled the prototype for a super-lightweight version of its Fusion. BMW just began deliveries of its i8 plug-in hybrid sports car at 126,000 euro ($135,700). It’s built on a lightweight carbon-fiber frame, is more fuel efficient than a Toyota Prius and can go faster than a Porsche 911; BMW refers to it as a “brand shaper.” But it faces stiff competition from the Tesla Model S, which starts at 65,740 euros in Germany. Nissan has offered more insight on its plug-in vehicle strategy. Andy Palmer, the company’s head of global product development, said that start of plug-in hybrid production for Nissan remains slated for late 2015, presumably coming to market in one or more model-year 2016 vehicles. Nissan will be selling its second electric vehicle in Japan starting in October – the e-NV200 compact commercial van. It will cost between 3.88 million yen and 4.79 million yen in Japan (between $37,900 and $46,700). It’s not coming to North America anytime soon or possibly forever due to vehicle range and charging network concerns. It will be a slow start – selling about 500 units a month in Japan, where it qualifies for up to 850,000 yen ($8,295) in government incentives. Tesla Motors has been getting a lot of attention in the auto industry lately as it attempts to bypass state franchise laws and sell directly to consumers. With Tesla going outside the traditional dealer system, the company has come up with its own creative leasing program – what it calls a guaranteed “buy back” program where Tesla offers to buy back the electric sports car between 36 and 39 months. Leasing, whether through buyback or traditional leasing, has played a dominant role in sales of the Tesla Model S, Nissan Leaf, Chevrolet Volt, and other EVs. Scot Hall, Executive Vice President at Swapalease.com, has been closely watching what’s going on with Tesla’s leases – and other EV leases through OEM captive finance arms. Swapalease.com helps its customers exit their vehicle leases early by marketing their car lease to lease buyers seeking a short term lease assumption or lease transfer; it’s the world’s largest automotive lease marketplace and monitors every type of lease out in the marketplace. Tesla’s guaranteed residual value on the Model S has been based on the Mercedes Benz S Class as the benchmark – Tesla promises the Model S won’t depreciate any lower than the S Class; and Tesla will buy back the car at the agreed price. It’s not a lease as the car owner has to finance and pay taxes on the full vehicle. The $7,500 federal tax credit is only available when you lease an electric vehicle through a local dealership. Tesla has a direct sales model and does not sell through dealers, essentially preventing them from offering a standard lease program. Beyond the Tesla Model S, EV leases through other automakers have been standard and very similar to any other lease transaction, Hall said; they’re usually carried by OEM captive finance arms. The Model S has been outside the Swapalease program, though there were a few Tesla Roadsters in Swapalease. Hall said that for Nissan Leaf lessees participating in Swapalease, they have found the payment offering attractive, and overall, it’s been a satisfying experience for them. Some automotive analysts wonder what residual values will look like for EVs coming off-lease. While there’s been concern over their market values expressed by Kelley Blue Book and NADA Used Car Guide, Hall doesn’t it expect it to be a significant problem. He hasn’t seen dramatic changes yet in plug-in EVs or hybrids coming off-lease, and consumers are shielded from residuals when they go off-lease. Used car prices are expected to go down this year, and EVs could potentially see an even greater challenge than other vehicle categories, he said. It is a bit early in the used car market off-lease cycle to know for sure. Some of the EV leases may have been structured with overly optimistic price valuations to make the EVs more price competitive; but captive finance arms are being more realistic than they were 10-to-15 years ago on residual values overall, Hall said. Used EVs can also present OEMs and dealers with an opportunity for certified pre-owned vehicle programs as well, he said. While some of the lease prices are up there (especially for the Model S), ownership cost isn’t necessarily a deal breaker for consumers interested in EVs, Hall said. Some of them have environmental concerns and don’t just look at competitive pricing on the market. EVs can be more profitable for OEMs long term. Swapalease’s staff have had access to two Chevy Volts, and they’ve enjoyed the experience. They are looking forward to the next generation Volt coming out, which should double the battery driving range, Hall said. 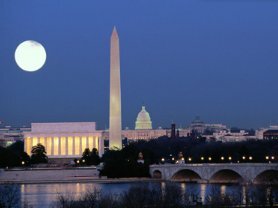 It’s always good to stay current on what’s happening in Washington, DC, with new regulations and funding programs regularly rolling out. Last week, more details came out on the latest in electric power regulations, grants for fuel cell vehicle projects, renewable fuel requirements for ethanol, and on the impact of the federal standards on heavy-duty truck mileage and emissions……….. The US Environmental Protection Agency’s announcement last week Monday on electric utilities reducing carbon 30% (coming mainly from coal-powered plants) had some good news for automakers. While German automakers have been hit hard financially by government mandates that they convert their power over to renewable energy sources, that doesn’t appear to be the case for US-based production plants. Jim Doyle, president of Business Forward, and Debra Menk, an automotive economist, gave a teleconference presentation last week on that issue (coming from a report released by Business Forward). By the time utilities convert over to renewables (by 2020), it’s expected to only cost automakers an additional $7 per car or truck to utilize that clean energy. Electricity only makes for about 1% of an assembly plant’s total expenses, so automakers won’t see much of an impact that they feel compelled to pass on to consumers. The US Department of Energy will issue $7 million for hydrogen fuel cell vehicle development. Meteria, based in Pasadena, Calif., will get $2 million to for its new resin system that will reduce the cost of hydrogen storage systems; $1.2 million goes to Lawrence Livermore National Laboratory, Sandia National Laboratories, and San Francisco-based Ardica for hydrogen storage system improvements (each one gets $1.2 million); and HRL Laboratories of Malibu, Calif., will receive around $1 million of the funding. The EPA appears to be putting the ethanol compliance issue on the backburner. Refiners have been given a compliance extension – from June 30 to Sept. 30 of this year – on blending 16.55 billion ethanol-equivalent gallons of renewable fuels into petroleum. That comes from the EPA ruling on 2013 renewable fuel requirements; EPA thinks refiners should know the 2014 requirements before the end of the 2013 compliance year. This will affect the decisions of refiners to bank renewable fuel credits for use in the future, according to the EPA. It may give the White House some breathing room on a battleground between oil companies and refiners and corn growers and ethanol producers. Federal fuel economy and emissions standards for heavy-duty trucks will lead to significant fuel savings and are likely good for the trucking industry, according to Jim Sweeney, vice president of capital equipment for AmeriQuest Transportation Services. “The increase in overall maintenance costs for this new technology is undeniable — but looking at the big picture, the economic and operational benefits that come along with these initiatives seem to far outweigh the bad,” Sweeney wrote in his blog. Similar to passenger cars, the EPA and National Highway Traffic Safety Administration adopted the first phase of this program in 2011 for heavy-duty vehicles coming out in model years 2014 to 2018. The second phase is being worked out now by the federal agencies with truck makers. The first phase of a national policy that’s as big as the 54.5 mpg by 2025 rule and the Keystone XL pipeline debate was announced yesterday: the US Environmental Protection Agency (EPA) proposed that carbon emissions be reduced 30% from 2005 levels by 2030 at US electric power plants. That means more than 600 existing coal-fired plants will see some big changes transitioning over to renewable sources like solar and wind; natural gas is cleaner than coal and has been replacing a lot of coal in recent years – and may likely see an increase if added to the rules. The EPA will finalize the carbon pollution rules a year from now, and it will also cover particle pollution, nitrogen oxides, and sulfur dioxide reductions. Transportation is said to produce somewhere around 25% (and up to 30% depending on the data source) of greenhouse gas emissions in the US; coal-fired plants are thought to produce one third of greenhouse gas emissions in the US – taking away the benefits of electric vehicles and energy efficient buildings. If adopted, the EPA regulations can be implemented through a state-federal partnership; states can work alone or they can develop multi-state plans. Environmental groups such as the Sierra Club and Natural Resources Defense Fund love the plan, and groups such as the National Association of Manufacturers hate it; some electric utility companies have deep concerns over whether systems are in place to transition over to renewables. There will be a classic debate on whether the environmental or economic aspects are more important, though some experts say that these two disciplines can be combined if done the right way when adapting to the new EPA energy policy. The eight-state zero emission vehicle (ZEV) coalition wants to offer incentives and more perks to get car shoppers to buy more battery electric, plug-in hybrid, and hydrogen fuel cell vehicles. California, New York, Connecticut, Maryland, Massachusetts, Oregon, Rhode Island, and Vermont, said in a report that they’ll be offering more vehicle purchase incentives (like rebates and tax credits) and other enticements like carpool lane stickers and preferential parking. 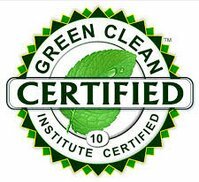 The Green Parking Council (GPC), an affiliate of the International Parking Institute (IPI), launched the Green Garage Certification program yesterday. It will be similar to the US Green Building Council’s LEED certification, and recognizes and inspires high standards in sustainable parking facility design, technology, operations, and management. More green car awards were announced: The 2013 Tesla Model S won top scores in the AAA Automotive Club of Southern California’s 2014 Green Car Guide. Following the Model S were the 2012 Toyota RAV4 EV, the 2014 Audi A7 TDI, the 2013 Lexus GS Hybrid, and the 2013 Nissan Leaf on the top five. Half of the top 10 were clean diesel models. Hyundai and Kia took the crown away from Honda (which had been No. 1 since 1998) in the Union of Concerned Scientists’ (UCS’s) annual rating of the greenest cars and manufacturing process. Smaller, turbo-charged engines and adding hybrid versions of their most popular models – the Hyundai Sonata and Kia Optima – are going in the right direction, according to the UCS. The United State’s eight bestselling automakers are all improving their environmental performance thanks to new technologies and stronger standards for fuel efficiency and tailpipe emissions, the UCS said. SolarCity is trying out a discount program to get more consumers to adopt solar panels on their houses – the company now has an alliance with Groupon to get consumers interested in making the purchase in 84 US markets. Under the limited-time offer, customers can earn a $400 discount on their SolarCity contract; that would come out to about three-to-four months of free electricity on top of a no-cost rooftop solar installation. Google Inc. will be working with Roush Enterprises Inc. near Detroit to assemble Google’s self-driving prototype vehicles. Roush is expected to retrofit a yet-to-be-identified existing model at its Allen Park, Mich., prototyping facility near Detroit to help Google take another major step on the road to driverless cars. Roush is also known for high-performance racing gear and propane autogas vehicle conversions. Tesla CEO Elon Musk is staying busy – he said that his SpaceX company will be making a reusable Space Taxi capsule within two years that can transport astronauts to the International Space Station. SpaceX’s Dragon V2 spaceship can carry as many as seven people and as much as four tons of cargo, Musk said at the SpaceX factory and headquarters in Hawthorne, Calif.
Can the 2014 Honda Accord Hybrid really get the mileage on its window sticker? Depends on who you ask. Consumer Reports says that it was just averaging 40 mpg in the EPA Combined Cycle – seven gallons below what’s on the window sticker. 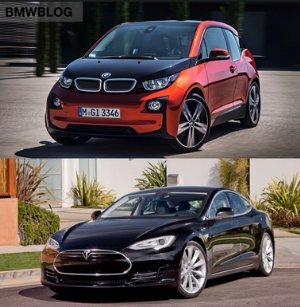 The Green Car Reports team found the opposite – its 47 mpg rating (50 mpg city and 45 mpg highway) is realistic – and it’s the main reason these editors named it the Green Car Reports’ 2014 Best Car to Buy.